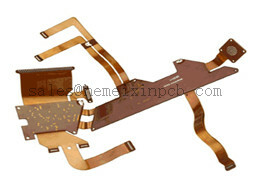 Product categories of Microvia Flex PCB, we are specialized manufacturers from China, Multilayer-Flexible FPCB, Multi-Layer Flexible Circuits suppliers/factory, wholesale high-quality products of Multilayer Flex PCB R & D and manufacturing, we have the perfect after-sales service and technical support. Look forward to your cooperation! Many complex interconnect challenges are best addressed with Microvia Flex PCB technology. In the pursuit of continuous miniaturization, the outstanding properties of flex base materials enable smaller application form factors with the benefit of reduced weight and optimized volume utilization. In addition to facilitating designs with ultra-dense and precise conductor geometries, we have found that polyimide or LCP (liquid crystal polymer)-based flex materials provide excellent electrical and RF performance characteristics. All these attributes are indispensable to an Electronics industry that is driven by the ever-challenging quest to extend functionality on continuously smaller footprints.